In 2017, the global eSports economy was estimated to stand at around $696m, attracting an audience of over 385 million people, according to Newzoo. But the industry’s formidable growth has attracted more than just hordes of professional gamers, avid viewers and brands offering lucrative sponsorship deals. Organised criminals and low-level chancers have seen an opportunity to influence match outcomes and profit from them in betting markets. As the industry has grown, a string of match-fixing scandals have unfolded, embroiling some of the most prestigious competitive gaming tournaments. Popular competitive games such as Counter-Strike: Global Offensive, League of Legends and Overwatch have all experienced match-fixing scandals in recent years. 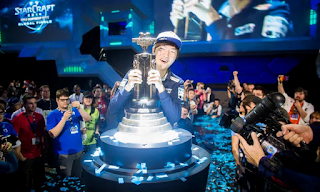 One of the most high-profile incidents happened in South Korea in 2016, when StarCraft II protege Life (real name Lee Seung-Hyun) – touted as one of the greatest players ever – was arrested and eventually prosecuted for throwing two matches. He was sentenced to 18 months in prison, suspended for three years, and fined KRW70,000,000. He was also banned for life from South Korean eSports.“If you’re looking at sporting integrity … in eSports you’ve really got to look at betting fraud and match-fixing as the biggest threats,” says Ian Smith, a UK-based lawyer and the integrity commissioner at the Esports Integrity Coalition (ESIC), an organisation which seeks to help safeguard eSports against all forms of cheating. In 2016, he estimated that illegal betting in eSports could be worth as much as $2bn. According to Smith, match-fixing broadly follows two patterns: lower tier incidents where individual players or teams see an opportunity to rig a particular outcome of a game and financially back themselves, and higher-level activity, where gambling syndicates bribe players. Either way, the fraudulent activity is not invisible. As part of its remit, ESIC operates a suspicious betting network which alerts its partners (betting operators and gambling authorities) to potential fraudulent activity. If, for example, a particular match suddenly experiences an extraordinary surge in betting activity, or if a customer suddenly deposits an unusually large sum on a bet, then ESIC may receive an alert. For over a decade, 26-year-old Mikhail Gorokhov has been playing Dota and Dota 2, developed and published by Valve Corporation. The games have matched their near-universal critical success and immense popularity with a highly competitive tournament scene, where prize pools can often run into millions of dollars. Gorokhov is predominantly a casual gamer and therefore rarely affected by collusion, but he has friends who have been propositioned about fixing matches. He also regularly spots potential match-fixing in games he watches, either by recognising suspicious in-game behaviour or analysing unusual shifts in betting odds. He suggests one tournament in particular, the ProDota Cup, has been especially susceptible, claiming that suspicious behaviour from both teams has gone unpunished unless there is a major outcry on social media. “On top of that, the tournament has almost no coverage: games are averaging 100 to 150 viewers at a time, of which most are gamblers. Due to that, fixed matches almost always go unnoticed by the community,” says Gorokhov. Unregulated gambling on eSports became significantly easier with the advent of skins: virtual collectibles that are usually cosmetic, changing the look of a weapon or character. They have become a virtual currency, with rare items attaining a real-world value of thousands of pounds. This has resulted in a skins gambling economy that’s a lot harder to monitor than cash.“A big part of the liquidity is wagered in unregulated markets where there is no transparency and it’s very hard to monitor patterns,” says Moritz Maurer, head of eSports integrity at Genius Sports, a sports data technology company. Perhaps the most high profile example of duplicitous skin gambling came in 2014/15, in North America, when allegations of match-fixing in Counter-Strike: Global Offensive saw members of two high profile teams, iBUYPOWER (IBP) and NetcodeGuides.com, banned indefinitely by Valve Corporation from any Valve-sponsored events (though some of these bans have since been lifted). Despite being heavy favourites for the match, IBP were beaten 16-4, with some of their strategies and play criticised for being lackadaisical and strange. Valve’s investigation found that “a substantial number of high valued items won from that match” had been transferred to Casey Foster, the founder of NetcodeGuides.com and IBP players. According to Maurer, eSports are no more prone to match-fixing than traditional sports, but there are a number of elements about it that increase the risk – the unregulated skins gambling economy being one of them. The hyper-digital nature of eSports also means players are a lot more integrated, more so than athletes in traditional sports, meaning they’re able to communicate – and potentially collude – more easily. Players are a lot closer to the gamblers, too. “You see a lot of communication between professionals and big punters on these sites,” says Maurer. “There are some high rollers on skin gambling sites that are talking to professionals.”With no overall eSports governing body, organising the plethora of leagues into united action against match-fixing is difficult. But many have taken steps independently to address the situation. Competition operators such as ESL, the world’s largest eSports company, have already partnered with organisations such as ESIC, integrating its fraud detections systems for spotting suspicious activity. ESL also runs conferences on the topic to educate players and the wider industry about the risks and dangers of engaging in such activity.